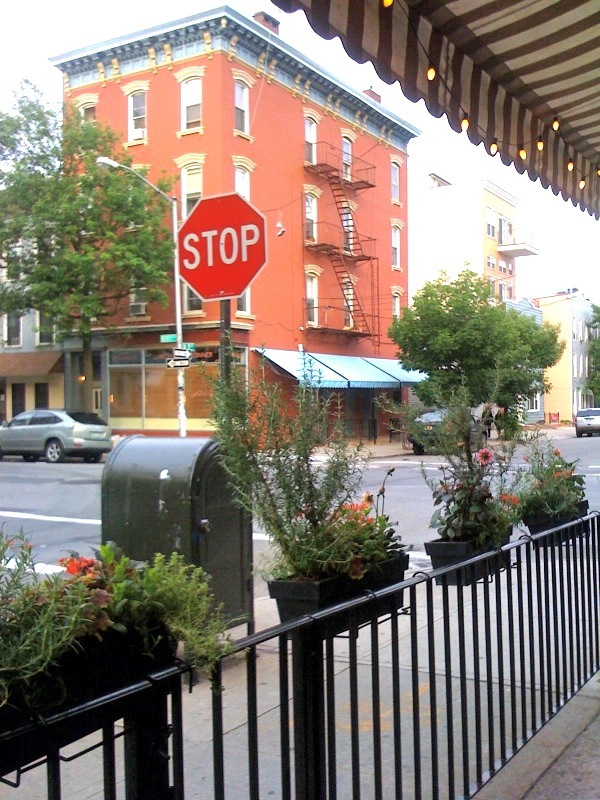 There’s a lot to swoon over at Hotel Delmano in Williamsburg, Brooklyn: the cocktails, the yuppie snacks, and the steampunk smashed with speakeasy style of the place. Me? My favorite part was their window boxes. These creative plantings do an amazing job of echoing the mood of the bar. I’d like to ask the garden why they also included dalhias in these boxes. They stood out as the one off note to me. 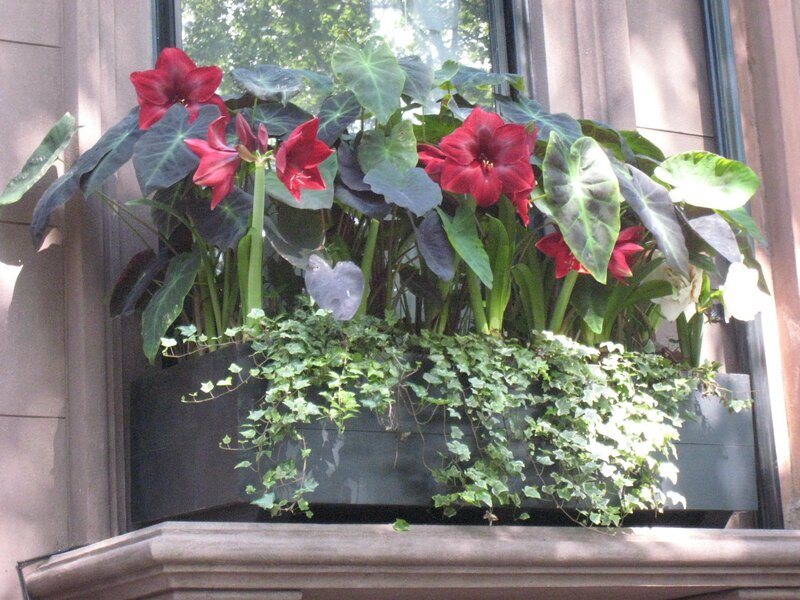 We couldn’t believe this brownstone window box on the Fort Green house and garden tour last June! To me, Amaryllis is a Christmas bulb rooted inside. We thought the paring with the big tropical leaves was sophisticated and fresh. Do you think this Brooklyn window box could have lasted a few days or even a few weeks, or was it a one-day fancy the owner put out for the garden show? 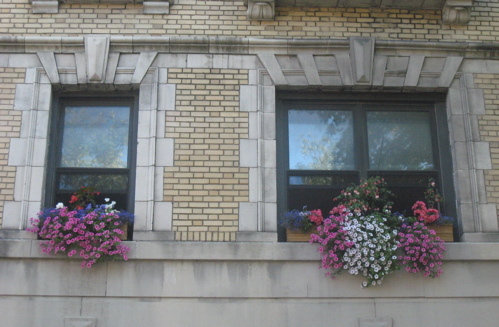 Check out more of my favorite window boxes. 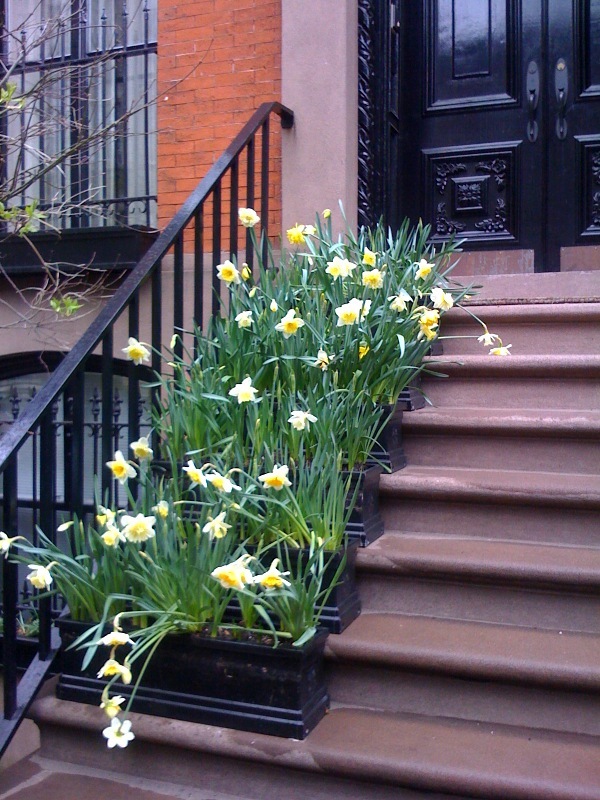 This Morton Street window box stopped me in my tracks last night. 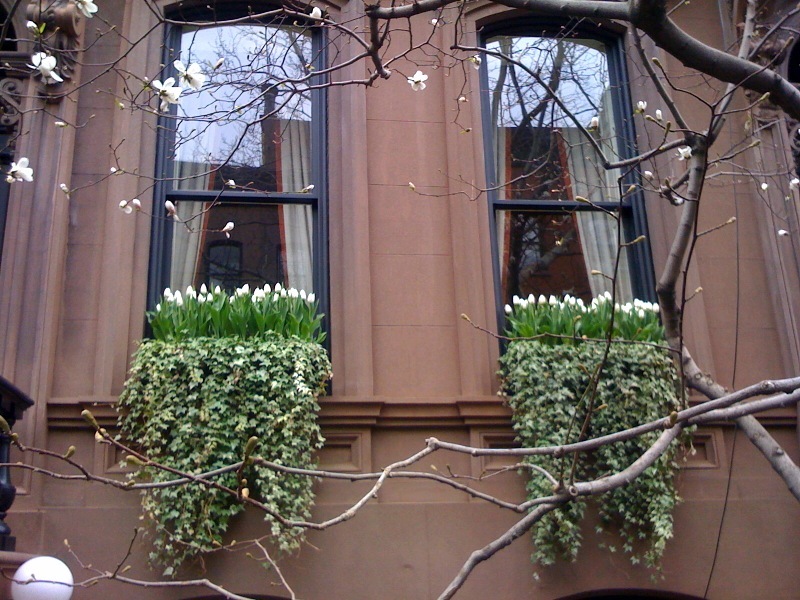 Check out a couple more West Village spring window boxes here. A few weeks ago, we snuck away to Philadelphia for the day to visit the Philadelphia Flower Show. The show was stunning, but honestly we were hoping for more inspiration and ideas for urban small space gardeners. 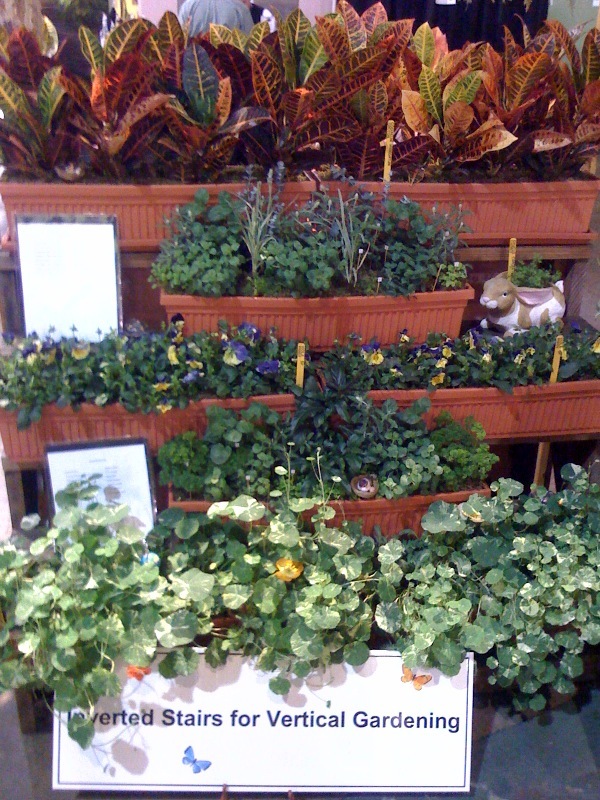 This stand from the Mid Atlantic Horticultural Therapy Network stood out to us. They suggested looking for discarded stairs and turning them into a vertical garden with room for multiple window boxes. Happy Monday! 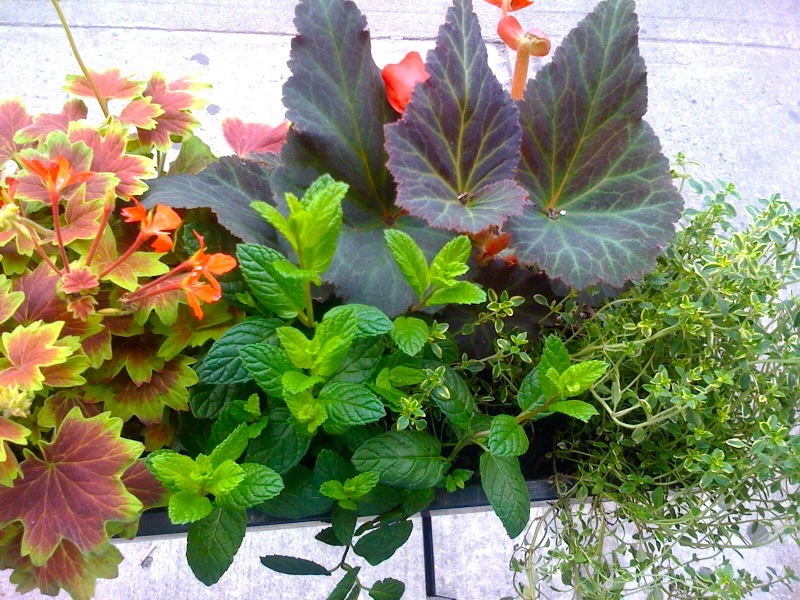 We walk past these window boxes every morning on the way to work and wanted to share them this morning. 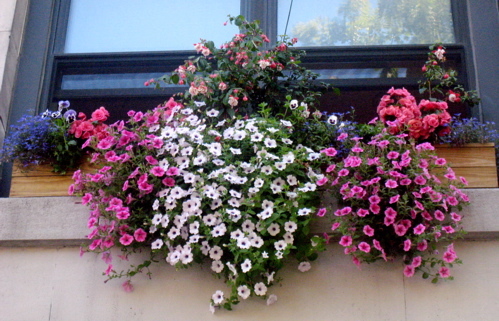 These Brooklyn window boxes hold piles of petunias, a bleeding heart bush, and some pansies peaking out too. 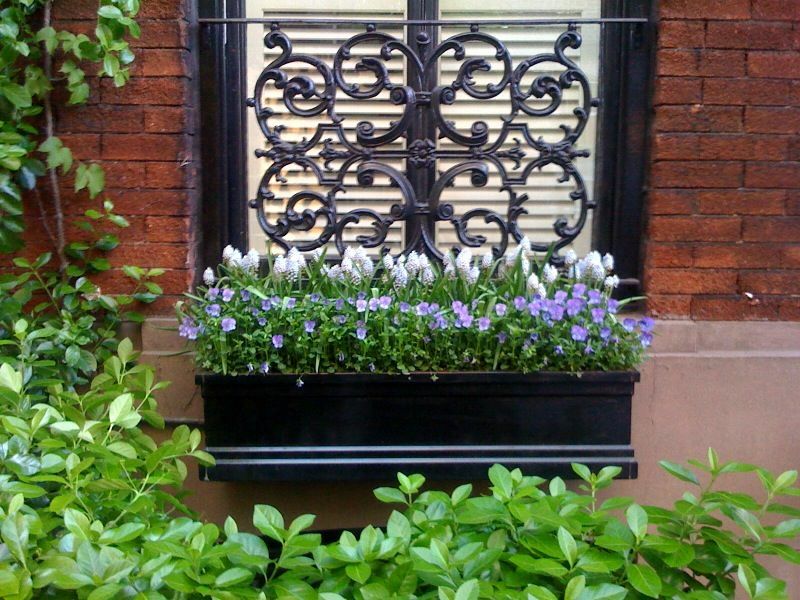 We’re inspired by how big these window boxes are and by how much dimension they have. These window boxes prove that there’s always space to grow something. 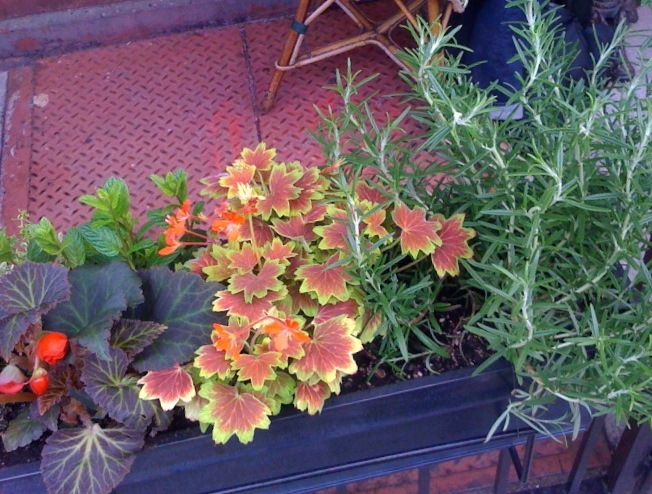 Check out more of my window box posts here. If you don’t have a back yard, how about a roof, a stoop, a tiny tree pit, or a window sill like this one.